We provide custom made metal detection and separation systems to suit your application. With best in class technology, quick delivery and rapid service response, PCP Group can partner with you to ensure you continually get the best protection from you metal detection. PCP Group metal detectors stop tramp metal damaging expensive machinery. Metal detectors are used also for quality control purposes in a number of industries. Metal detectors and metal separators work together with magnets to provide total protection in a number of industrial processes. The metal detectors will some types of tramp metal that would normally bypass the magnets and damage equipment. 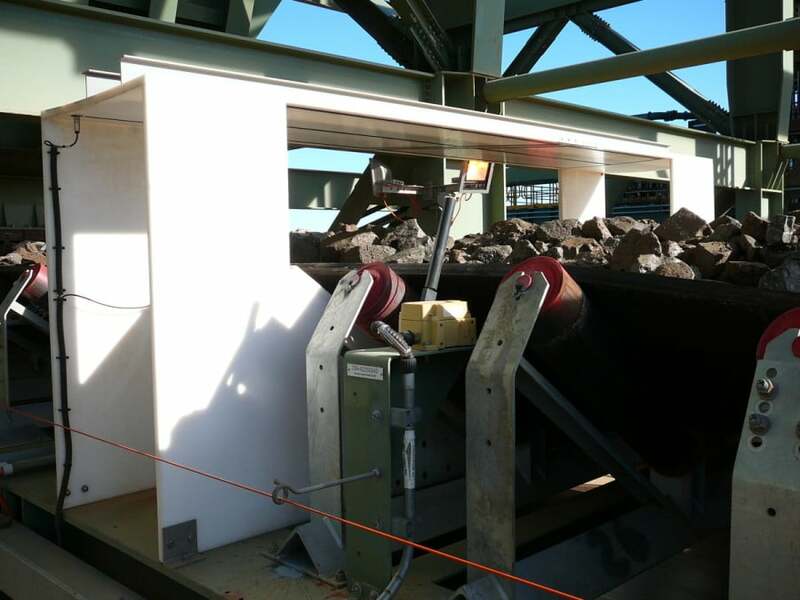 Metal detectors detect all metals and can stop the conveyors to ensure proper protection of the crushing shredding or moulding equipment. We provide bespoke Metal detector solutions with different types and configurations of metal detectors to suit all applications. Metal detectors and separators are used in the plastics industry from machinery protection to final product quality control. Due to raw materials being a mix of virgin and regrind material metal ingress is a rising problem which can damage the product or block injection moulding gates or damage expensive granulator blades. Eriez provide metal separators that effectively separate tramp metal from free flow plastic raw material in either gravity fed or pressure conveyors. Metal contamination represents one of the most common forms of foreign body contamination in food and pharmaceutical products. In order to reduce the occurrence of metal as a hazard various control measures need to be implemented including magnetic separation, metal detection and separation systems. Magnetic Separators used in the food industry are invariably powered by permanent magnets of varying strength. The introduction of ‘Rare Earth’ Permanent Magnets, which produce twenty times the magnetic power of conventional ‘Ceramic’ magnets, have extended the use of Magnetic Separators to the removal of very small particles of iron as well as rust, scale and other fine particles. Metal Detectors and metal separators compliment the installation of Magnetic Separators as they can detect non-ferrous metal, which magnets are unable to remove. The purchase of a metal detection system can represent a significant capital investment for many companies, so it’s important that the equipment is reliable, of appropriate design for the intended application, and used in the most effective way. This will ensure a good return on investment through decreasing costs and maximising product safety. We provide a comprehensive range of detectors for the industry including the leading Aperture metal detectors, Gravity metal separators and Pipeline metal separators. Eriez Magnetics Europe manufactures metal detectors and separators to to meet your exact requirements.